Senate Majority Leader Mitch McConnell has 48 hard "yes" votes, and needs 50 for a win, with Vice President Pence breaking the tie. What's next: The Judiciary Committee is racing to vote at 9:30 a.m. today. 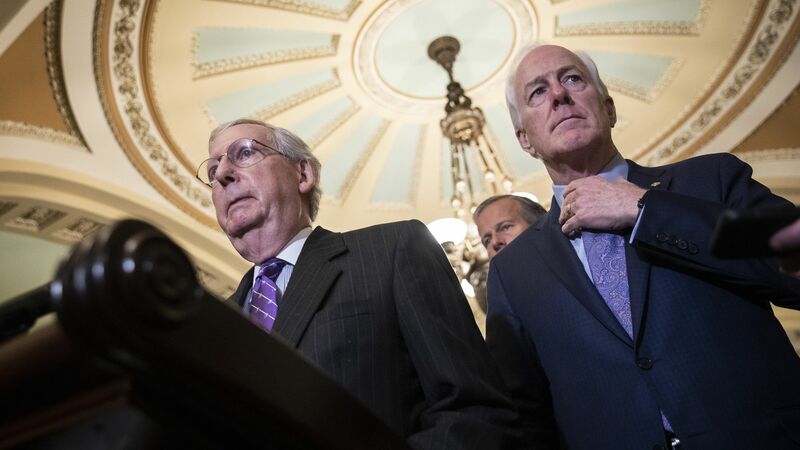 The full Senate could start taking procedural votes Saturday, setting up a final vote as soon as Tuesday, per AP. Republicans are increasingly optimistic about getting the vote of Sen. Joe Manchin of West Virginia, who's in a tough reelection race in a state Trump won by 42 points (not a typo). The uncommitted Republican senators are Susan Collins of Maine, Lisa Murkowski of Alaska and the retiring Jeff Flake of Arizona. GOP vote counters believe that to avoid future primary challenges fueled by the Trump machine, Collins and Murkowski will find their way to voting "aye."